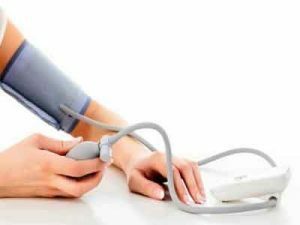 Washington D.C. [USA] : According to a recent clinical trial, intensive blood pressure lowering benefits patients with chronic kidney disease. To examine the issue, researchers analyzed information from the Systolic Blood Pressure Intervention Trial (SPRINT), sponsored by the National Institutes of Health. SPRINT, which enrolled individuals aged 50 years with systolic blood pressure of 130 mm Hg and at least one additional cardiovascular disease risk factor, compared targeting a systolic blood pressure to <120 mm Hg vs. <140 mm Hg for preventing cardiovascular complications and early death. The benefits of the lower target were apparent almost a year before the study was initially planned to end. In their subgroup analyses, Alfred K. Cheung, MD (University of Utah) and his colleagues found that individuals who had CKD at the start of the study experienced similar benefits as those without CKD. After a median follow-up of 3.3 years for 1330 CKD patients in the intensive group and 1316 in the standard group, the composite cardiovascular outcome occurred in 112 and 131 participants, respectively, translating to a 19% reduction in risk for intensive-group participants. (The composite cardiovascular outcome included heart attack, acute coronary syndrome, acute decompensated heart failure, stroke, or heart-related death.) Also, there were 70 deaths from any cause in the intensive group compared with 95 in the standard group, for a 28% reduction in risk. The team found that older participants aged ?75 years benefited at least as much as those who were younger within this CKD subgroup. There was a slightly faster decline in kidney function in the intensive group, but no increase in kidney events (such as kidney failure) or serious adverse events. “In people with CKD, lowering systolic blood pressure beyond the conventional goal reduced the risks of heart disease and death, but slightly hastened the decline in kidney function that often accompanies aging,” said Dr. Cheung. He noted that these findings come from the largest randomized trial to date on the effects of blood pressure in patients with CKD. The findings appear in an upcoming issue of the Journal of the American Society of Nephrology (JASN).